Let's welcome HTC's first Android One device called HTC U11 Life. This device also features Edge Sense, meaning it can be squeezable by the side plus water and dust resistance. 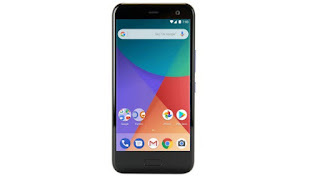 HTC U11 Life is the first Android One smartphone from the Taiwanese mobile phone maker. The phone will come running on Pure Android 8.0 Oreo which is powered by Qualcomm Snapdragon 630 chipset. According to rumors online, HTC plans to release the non-Android One version of the HTC U11 Life. Sometimes, all these rumors always turns out to be true, but let's just hope until it's official. For now, HTC U11 Life Android One phone is official, and we've got the full specifications as well as the price below. Phone Price: About $400 USD / N145,000. What sort of specs is this? Nice specs. Wack battery for that high price. Mein, it's not okay. Good phone but the battery capacity is supposed to be 4000mah. Too expensive device and it has a lower battery capacity. I’m impressed with the specs but not happy with the battery capacity which should have been stepped up a bit. As if it came with Free 10000mAH power bank. Phone companies really need to stop this mess, phones of this spec should have a minimum threshold of 4000mah on the battery. But the phone is nice but the ba3 capacity should have been step up a bit.